Pioneers in the industry, we offer threading tools, thread forming tools and internal threading tools from India. Threading Tools offeredare manufactured keeping in mind the specific requirements of industries and come in hard alloy finish with black coated finish for long lasting usage. 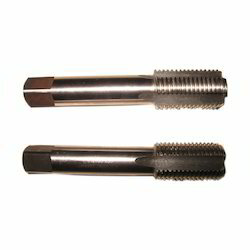 Featuring high precision, tensile strength and dimensional accuracy, these tools are used as lathe threading tools, pipe threading tools, screw cutting tools as well as for internal threading operations. 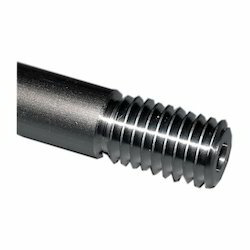 Finding use as metal cutting tools in different machine shops, these are suitable for generating thread taps in any material and can be offered in various sizes and tolerances. To meet the diversified requirements of our prestigious clients, we are engaged in offering Thread Forming Tools. The offered tools are used in tapering the two parts, cables or levers with the frame. Due to corrosion resistance specifications, these tools are extensively used by the automobile and machine manufacturing units. 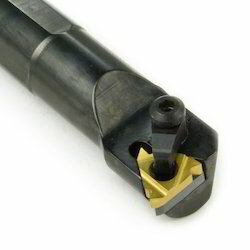 In order to deliver the high durability, these tools are manufactured utilizing quality alloy. Additionally, these tools are quality tested on more than a few parameters to assure high tensile strength. Pioneer in the industry, we are engaged in presenting an impeccable range of Internal Threading Tools. The offered tools are fabricated using higher techniques and knowledge. In addition, due to its quality alloy manufacturing and corrosion resistance properties, the tools are utilized heavily in the automobile, mechanical and other industries. In addition, clients can get these tools from us in bulk quantity at industry leading rates.